Wow, doesn't that look yummy. Chris' letter this week was fun to read. It is the first letter that I did not cry while reading. I laughed a few times though!! It would seem that the elders have as many fun things going on as they do spiritual...Chris is loving the CTM. 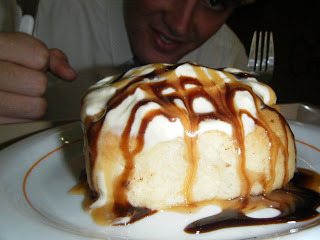 This picture is of the "famous" cinnamon rolls that they sell at Cheney's. Cheney's is a store just by the CTM where the elders go to do their emailing. I went onto the www.missionties.com website last week and purchased a gift certificate for Chris to use at this store, he LOVED it because as you can see they have yummy things there. 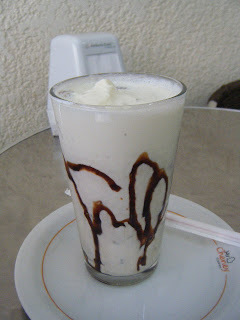 They also sell american icecream and milkshakes and other nonedible items as well, what a great place!! 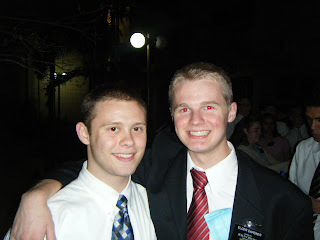 Hopefully you are all getting his letters and know that he is doing great. He says he is getting lots of mail and email, so thank you all for writing to him. Hopefully Chris will do his own blogging next week as that is so much more fun to read. That Sweet roll looks as good as Kneaders French Toast!! Yum! !